Rachael's greatest achievement so far is placing at nationals in skating, and so it comes to no surprise that her favorite place to visit in St. Louis is Steinberg's Ice Rink. She is inspired every game day by watching the crowd come together to cheer on the Blues. If Rachael could only attend one restaurant for the rest of her life, she would pick Joe Boccardi's because she thinks they have the best STL styled pizza. Her favorite pizza toppings are bacon, peperoni and provel cheese! You can find Rachael at most Blues games where the cheering is the loudest! Amanda is most inspired by her friends and family, and her greatest achievement is overcoming all of the challenging things that life has thrown her way. Her favorite place in St. Louis is the Delmar Loop or Downtown Kirkwood. Amanda's perfect day off is any day with warm weather when she can be active outside. 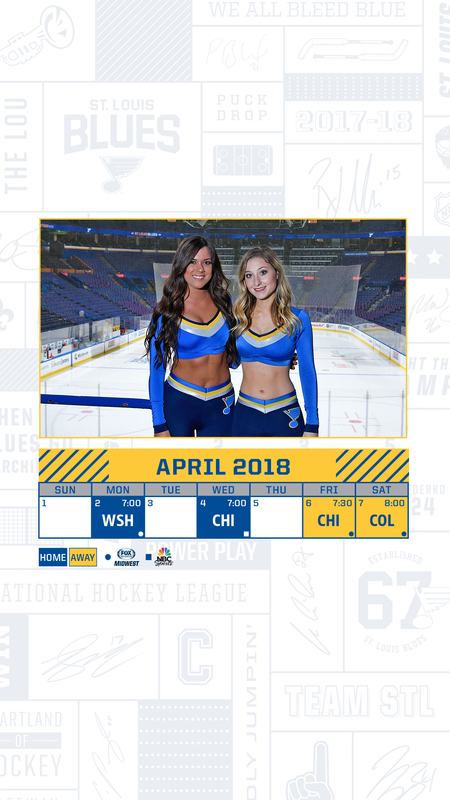 Amanda's favorite part of a Blues game is interacting with the fans, and getting to see how pumped up everyone gets! You can always find her in the stands getting the crowd excited!